Wilmer Flores of the Mets after hitting a two-run homer against the Marlins at Citi Field last August. Flores won his arbitration case against the team on Saturday. 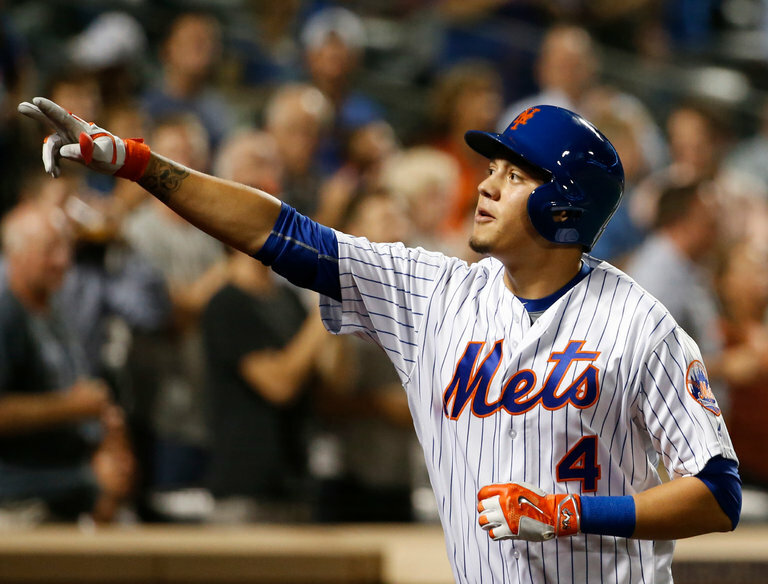 Wilmer Flores, in his own way and not by his own choosing, has been at the center of some unusual circumstances. He cried on the field during a game on July 29, 2015, because he thought he had been traded from the one organization he had known, only for the deal to fall through that evening. Flores ended up proving useful in the Mets’ run to the World Series that year, and again as a right-handed-hitting platoon infielder in 2016. Yet again, however, other forces intervened. On Sept. 10, 2016, as the Mets fought for a wild-card spot, Flores doubled in the top of the eighth in a tie game against the Atlanta Braves. It was a big hit, and it put the Mets in position to take the lead.